Great Taipei Travel has essential travel information of Taipei, New Taipei City and Keelung, including tours, foods, attractions, accommodations, as well as Taipei MRT map and hotels nearby Taipei MRT stations for your travel ease. The 2010 Taiwan Lantern Festival is to be held in Chiayi on the 28th of Feb, 2010 to the 7th of March, 2010 at the area nearby Chiayi Park with a large occupation of fourteen hectares. The theme of the 2010 Taiwan lantern festival is “Blessing Taiwan”, there will be two masterpiece lanterns including “Kirin”, and “Tiger”, and lanterns in different themes, shapes, sizes, and colors. The reason for Tiger being the master piece is due to there are twelve animals of Chinese zodiac, tiger is the animal of the year 2010. Covering a large area, the 2010 Chiayi lantern festival features various areas. Visitors may appreciate distinctive lanterns in forms of cultural, religious, exotic, etc. In addition, lantern mazes, and lantern competitions are available for your enjoyments. The most popular area is expected to be the Jurassic lantern area that offers a unique Jurassic ambience by the surrounding trees, environment, and dinosaur lanterns. Various performances and firework shows will also be displayed to ensure you an interesting Taiwan travel! Do not forget the beautiful Alishan Forest Recreation Area is in Chiayi. You are suggested with the following schedule for a three-day Chiayi trip! 2012 SEMICON Taiwan is to be held at the TWTC Nangang Exhibition Hall from 2012/09/05-2012/09/07. Other than regular exhibits, there will be 8 pavilions, including Advanced Packaging Gallery and Advanced Testing Gallery for displays of innovative packaging applications and technical solutions in the innovative technology center, Country Pavilion for exhibits from a number of nations such as France and Korea, Cross Strait Pavilion for exhibits from China IC companies, green manage pavilion for exhibits of eco-friendly and energy saving products, LED Taiwan Pavilion for Taiwan’s latest LED applications and technology, MEMS Pavilion for latest MEMS applications from Sonix Taiwan Limited, Inabata & Co., Ltd, STK Technology Co., Ltd and more, and Secondary Market Pavilion for secondary market applications with better cost-effective solutions. SEMICON Taiwan offers the ideal platform for establishing business with industry leaders, and potential customers. 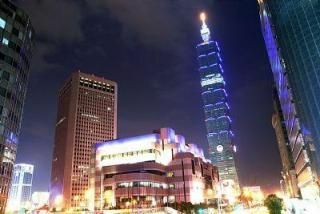 Be sure to book your Taipei hotels early for your Taiwan trip to the 2012 SEMICON Taiwan! Please visit the official web site of 2012 SEMICON Taiwan for more information. Site contents maintained by TravelKing and powered by DFone Technology Corp. © 2019 All Rights Reserved.